Getting Your Read On: The Fisherman's Daughter by Melinda Sue Sanchez + $25 and Book Giveaway! The Fisherman's Daughter by Melinda Sue Sanchez + $25 and Book Giveaway! I love historical fiction. It's one of my favorite genres to read. 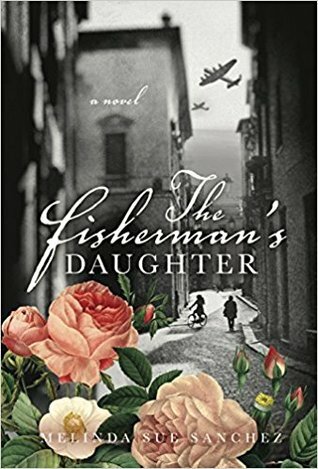 This book is set in Italy during WWII. War is a horrible thing and it is sometimes difficult to read about because so many people suffer in so many different ways. But it also reminds me that there were heroes everywhere- ordinary people doing extraordinary things to help and protect each other. This book does a good job of balancing the horrors of war with the hope of good people. This book painted some beautiful pictures in my head. Even the difficult scenes were vivid and played out like a movie for me. I love when I can so easily picture what is happening in my head. The story is a slower one and has a gentle feel to it, even when my heart started pounding with anticipation. The writing is very pretty. I really enjoyed this story. I don't think I've read anything by this author before but I'll be on the lookout for more.